We were lucky enough to have Harriet Harper deliver a NewVIc lecture at Newham Sixth Form College on 14th October. Harriet is a former HMI and now helps to train teachers for the post-compulsory sector. We were delighted to be joined for this lecture by several teachers from local secondary schools in Newham. Harriet’s focus was on the practice of highly skilled teachers in post-16 settings based on her account of 20 real lessons which had been judged ‘outstanding’ (grade 1) by inspectors as well as clearly standing out among others of their kind. Harriet started by acknowledging that defining outstanding teaching is problematic and contentious and she rejected the use of narrow, instrumentalist checklists of approaches. Teaching is an exciting and intellectually challenging activity. Rather than starting from a detailed definition of excellence and then seeking evidence to confirm it, she had extrapolated the common features of what teachers did in the 20 lessons chosen and grouped them together into five broad themes for further discussion and reflection. This common-sense approach to describing and analysing excellent teaching meant that we were not being offered a guide to delivering an outstanding lesson. Instead, we were invited to relate elements of our existing practice with descriptions of outstanding lessons. Rather than telling the skilled practitioners in the room what to do, Harriet Harper was encouraging us to be reflective in structured systematic ways and to learn from each other. This reminded me that one of the main tasks of college leaders has to be to create an institutional culture which supports and promotes teachers’ natural desire to share, analyse, reflect, experiment, evaluate and celebrate with a view to developing their teaching further and doing a really good job – not for observers or inspectors but for their students. We suppress this at our peril. Planning: The teachers planned them extremely well. This included giving careful thought to what they wanted students to learn and a careful choice of teaching and assessment methods as well as resources. Passion and enthusiasm: The teachers were passionate and enthusiastic about both their subject and their teaching. This commitment was authentic and they were keen to guide students towards constructing meaning for themselves. Questioning: The teachers demonstrated considerable expertise in the way they asked questions; thinking about the structure of the questions and using them to check understanding, elicit information and views and encourage thinking and discovery. Challenge: The teachers demanded high standards and students responded by meeting these expectations. The lessons felt ‘hard’ in a way which reinforced student motivation. Respect: Teachers had established respectful and professional relationships with their students and created a safe and welcoming environment but not at the expense of purposefulness and challenge. Reading out learning outcomes at the start of every lesson. Presenting the perfect lesson plan. Putting students into groups or pairs. Avoiding student presentations when being observed. Using students’ ‘learning styles’ to plan. Always addressing equality and diversity explicitly. Never deviating from the lesson plan. 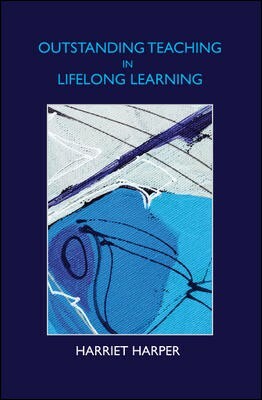 Harriet’s excellent book Outstanding Teaching in Lifelong Learning (Open University Press, 2013) contains comprehensive accounts of all 20 outstanding lessons which come from a broad range of post-16 learning including Classical civilization, Geography, Physics, Motor vehicle studies, Hairdressing and Bricklaying. Taken together they represent a really deep analysis of how skilled and reflective teachers do what they do so well. These great lessons all seem to have taken place without the need for rigid templates, extraordinary technical wizardry or oppressive monitoring regimes. I think all of us who were present would warmly endorse Harriet’s sensible and thoroughgoing approach and I would certainly recommend her book to any post-16 teacher looking to develop their practice further. This entry was posted in Education, Reviews, Teaching and learning and tagged Education, Harriet Harper, learning, NewVIc, outstanding teaching, teaching. Bookmark the permalink.